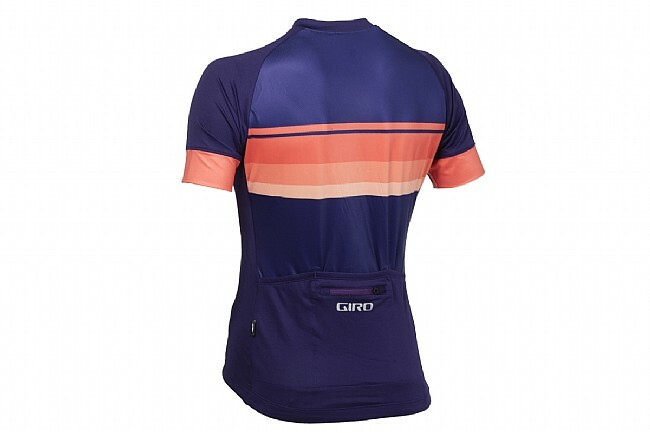 The Giro Women's Chrono Expert Short Sleeve Jersey features the fine-tailored race cut of Giro's Chrono Pro but uses a simplified construction made from 160 g/m2 moisture-wicking polyester for an excellent fit that's still plenty light for hot weather riding. 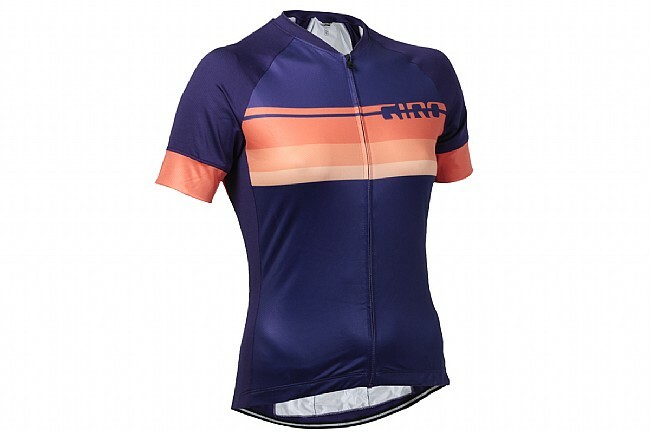 Raglan sleeves provide freedom of movement on the bike, and a full-length zip allows for maximum ventilation. The three rear jersey pockets are supplemented with a fourth zippered pocket that's large enough to safely stow a modern-sized smartphone.